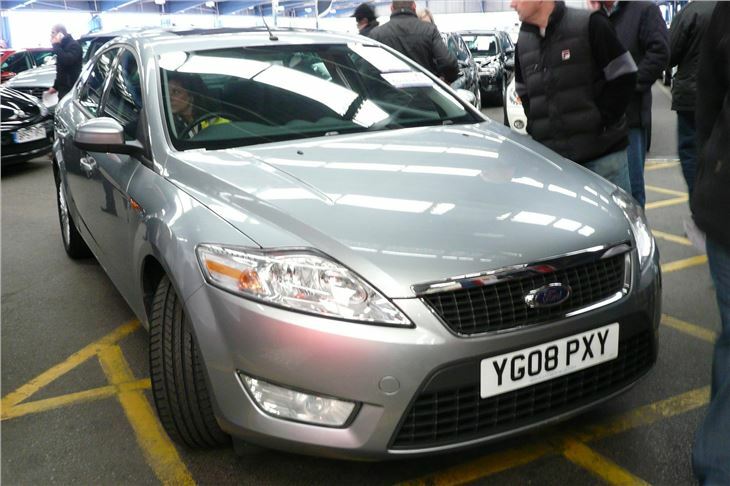 2010 is going to be the year of the Ford Mondeo. Because this spring it will get a new range of engines that are both nicer to drive and much more efficient. 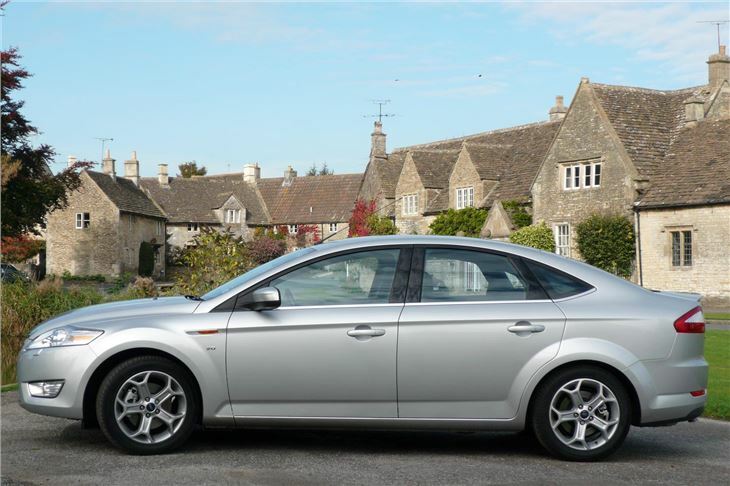 Meanwhile, in our hands, the 2.0 ECOnetic 115 averaged a creditable 51.5mpg. 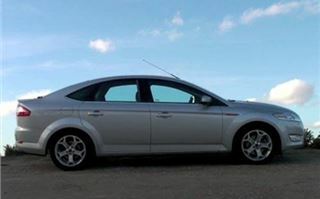 The Mondeo has been maturing nicely since I first drove it in Sardinia back in April 2007. Gone are the rather garish Ghias, by which I don’t mean the whole range has gone automatic. 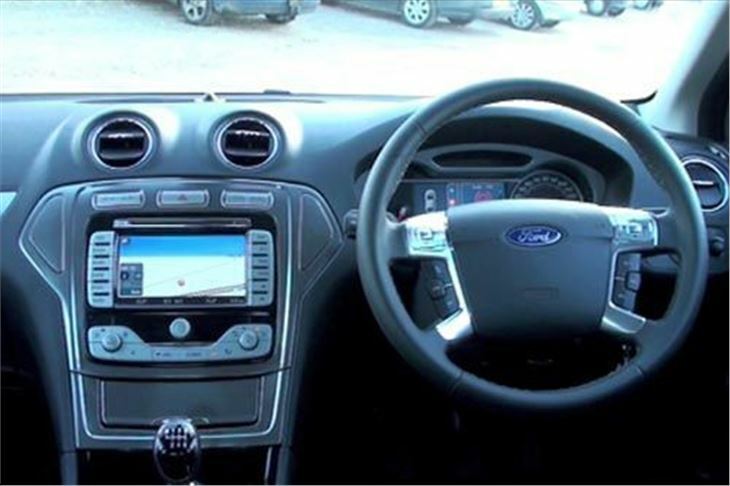 I do mean that you no longer have the option of ‘wood’ and leather that made the interior look like the transport of a pimp. 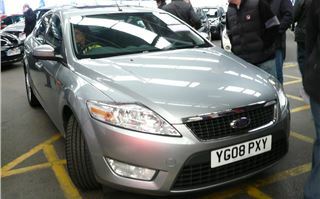 ‘My’ 2.0 TDCI 115 Titanium ECOnetic arrived tastefully trimmed in slate grey leather and Alcantara. (So much nicer to sit on than the slippery stuff.) Not a trace of nut tree anywhere. 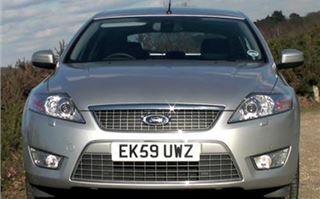 It had Ford’s nice satnav, now a mere £700 extra, but not yet with a reversing camera. But someone had blinged it up with optional 235/46 R17 tyres that feed minor imperfections in the road surface through to the cabin. No serious complaints. 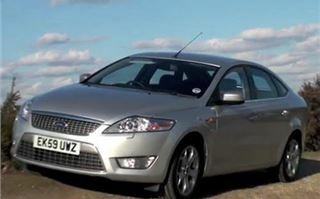 But a Mondeo can take a few miles of acclimatisation before your realise what a superb car it is. It isn’t a car that rewards lazy or sloppy driving. Take things carelessly and your progress will not be particularly pleasant. 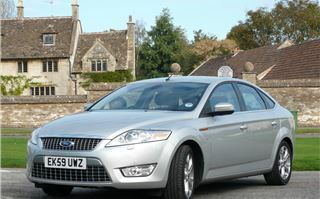 The Mondeo saves all its prizes for drivers prepared to drive the car properly. I don’t mean race it. I do mean take control. Then it becomes alive and immensely satisfying to pilot through bends, round roundabouts and along undulating roads. The suspension works at its best, absorbing sometimes quite serious imperfections and keeping you firmly in control. 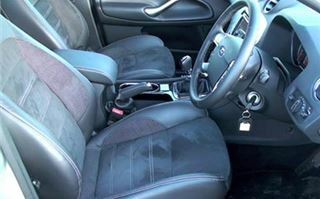 As for the quality of the car, I’ve made the point before. In Titanium trim it is indistinguishable from an Audi and actually quite a lot better than some BMWs, Mercedes and Volkswagens. The Passat is not in the same league. The Insignia isn’t far off, though. 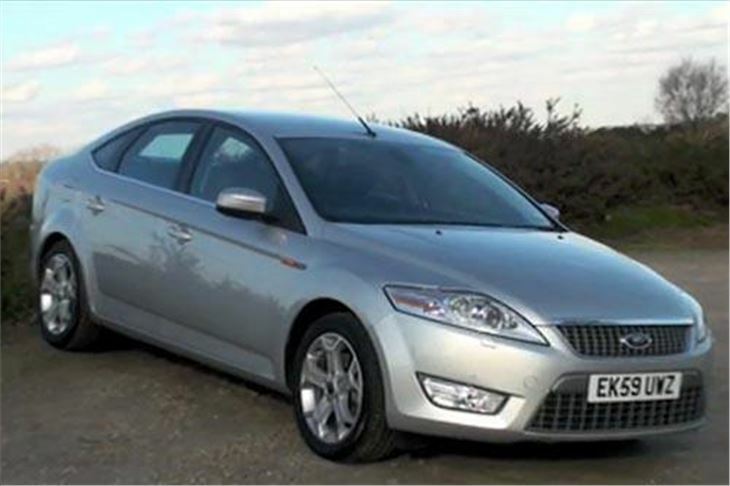 And the ‘new wine in old bottle’ SEAT Exeo is surprisingly close. Look at the photos. And look at the video. 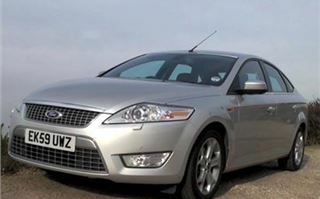 The Mondeo is a very handsome car, unbedecked with unnecessary chrome or fussy detailing. In black it looks particularly classy, as if the driver knows something you don’t. Mondeos don’t shout, “I’m a Benz”, like a modern Mercedes does. They don’t indulge in Teutonic nostalgia. They’re content to be a Ford. And that no longer means a cheap car for people who can’t a Ford any better. It’s a car that can sit proudly alongside something from Germany driven by someone slowly realising their mistake. 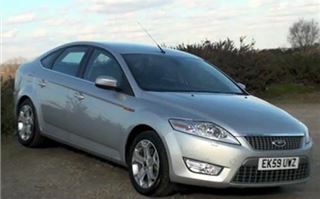 The Mondeo ECOnetic comes in at 139g/km putting it in VED band E: £110 first year VED and £110pa thereafter. 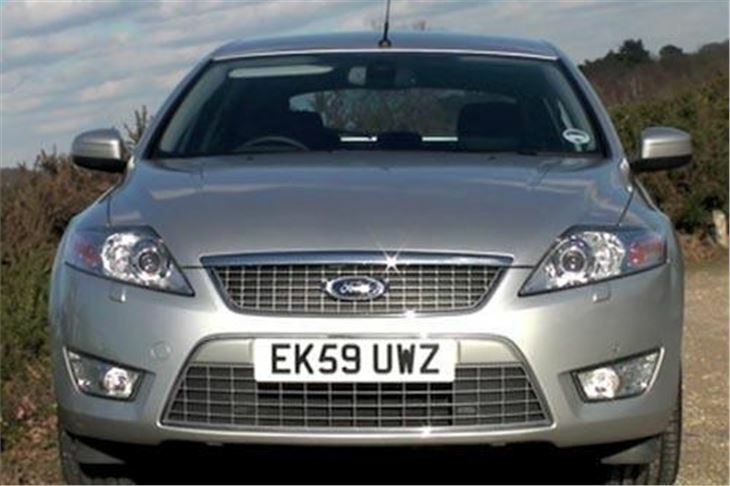 The high 35mph/1,000 rpm in 6th, coupled to poor torque at under 1,500rpm means the cruise control struggles through 50mph road works and you need 5th for the inclines. But at 70mph it’s ideally geared. Over 623 miles (113 of them fast cross country) we averaged 51.5mpg. 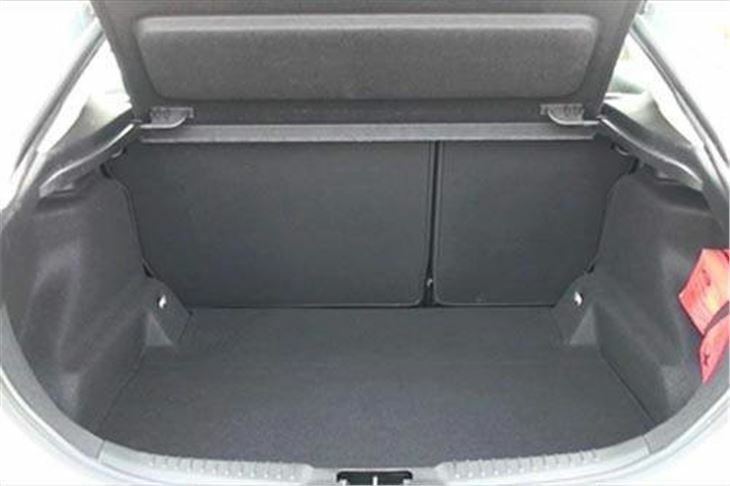 Luggage capacity (closed boot): 528 litres. 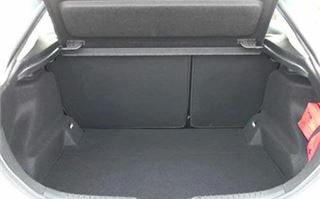 Kerb weight: 1,350 to 1,522kg. 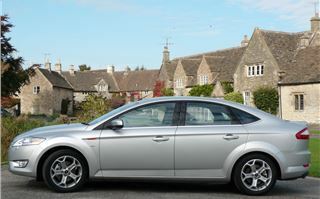 The Mondeo Titanium 2.0 115PS TDCi is priced from £23,295.00 for the five-door and £24,545.00 for the estate. 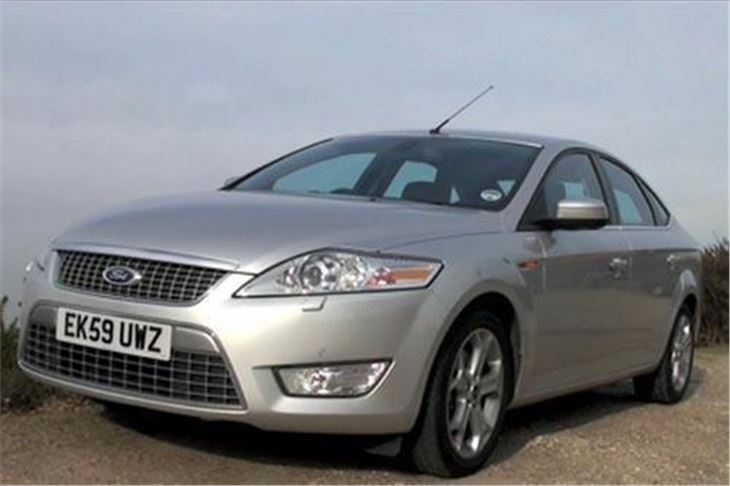 From Spring 2010 the Mondeo gains the all-new, high efficiency, turbocharged, 203PS 2.0-litre Ford EcoBoost SCTi petrol engine and significantly improved Stage V, 2.0-litre Duratorq TDCi diesels with 115PS and 140PS power outputs, plus an impressive new 163PS version. 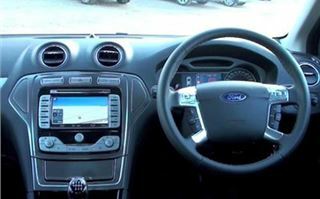 In addition, the Ford Powershift six-speed twin-clutch automatic transmission system comes to the Mondeo range, fitted as standard with the 2.0-litre EcoBoost petrol engine and optionally available for the 140PS and 163PS Duratorq TDCi diesel engines. 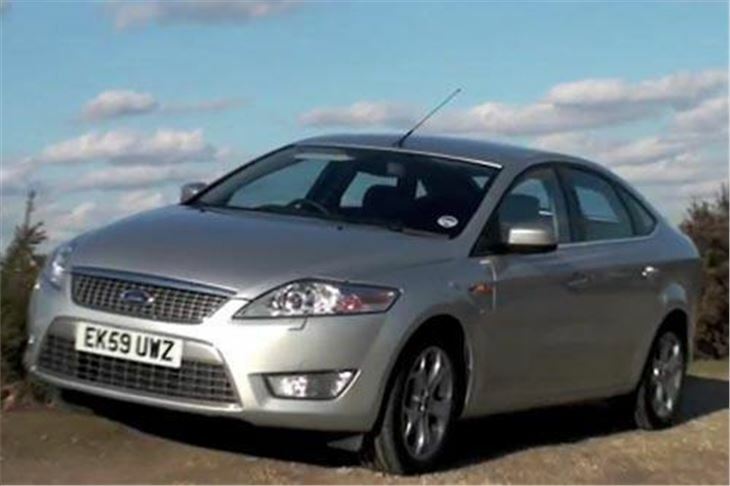 The newly introduced 2.0-litre 163PS Ford Duratorq TDCi allows the Mondeo to achieve impressive fuel economy with a combined fuel consumption as low as 53.2mpg*, as well as complying with stage V emissions regulations. 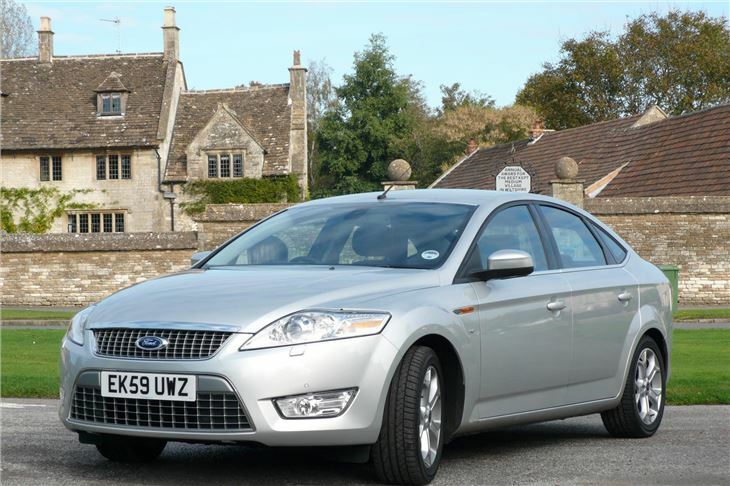 Together with the new Ford Powershift, the Mondeo delivers a combined fuel economy of just 50.4mpg.